Is this man bigger than the Sports itself ! ~ and that sports lasts barely less than 10 seconds !! Just like any other mother in India, this champion’s mother too has an eye on the future. "I would hope he'll settle down, get married and start his family," Jennifer told CNN's Don Riddell as she talked about the hopes she has for her son once he stops competing. Nothing ordinary one may think, but, she is mother of Usain Bolt, the legend. Bolt might have estimated annual earnings of $30 million -- he ranks 32nd of Forbes' list of the world's highest-paid athletes -- but as he has accrued all those gold medals and the ensuing financial success, a smile has never disappeared from the sprinter's face. The countdown to ‘the fastest legs’ in history has already begun. The heats are over and the most watched man ran a rather slow race in heat 7 completing in 10.07 secs .. and I never thought that the finals would have a competitor from Cote d’Ivoire, China and 2 from Bahrain. !! Olympics at Beijing in 2008 was all about Usain Bolt. 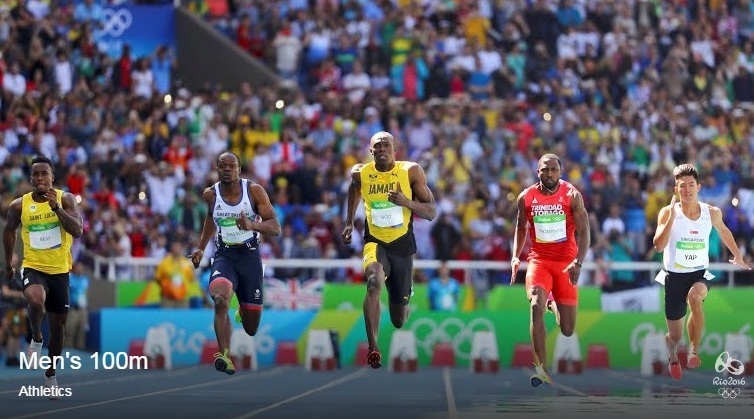 In the Olympic 100 m final, Bolt broke new ground, winning in 9.69 seconds. He has since cut a few more seconds out of that. 9.58 is the World Record. At the 2012 London Olympics, he won the 100 metres gold medal with a time of 9.63 seconds, improving upon his own Olympic record and defending his gold medal from the 2008 Beijing Olympics. He took 200 metres title with a time of 19.32 seconds, and on the final day of the 2012 Olympic athletics, Bolt participated in Jamaica's gold medal-winning 4×100 metres relay team consisting of Bolt, Nesta Carter, Michael Frater and Blake. With a time of 36.84 seconds, they knocked two tenths of a second from their previous world record from 2011. Always the crown jewel in the Olympic athletics programme, the Rio 100 metres final is shaping up to be extraordinary for many reasons. When Usain Bolt and company enter the Olympic stadium on Sunday, this will be it. The last Olympic 100 metres final for the greatest sprinter the sport has known. 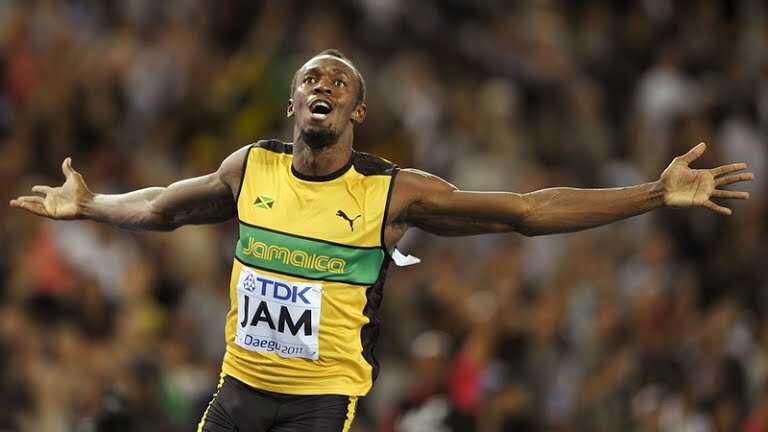 With victory, Jamaican Bolt would become the first man to win three consecutive 100 metres titles at the Games. American rival Justin Gatlin, at the age of 34, would make a mark of his own with a podium finish. No man that old has ever medalled in an Olympic 100 metres final. There are to be 3 Semi-finals and 8 of them would go to the finals, which are to be held on 15th Aug 2016, IST.